Only Five Minutes From Sangsters International Airport And 10 Minutes From Neighboring Sandals Montego Bay And Sandals Royal Caribbean, Sandals Inn May Be Our Smallest Resort, But It*S Big On Warmth And Charm. This Intimate Hideaway For Two Includes Treu Room Service And Is Home To 2 Gourmet Restaurants. 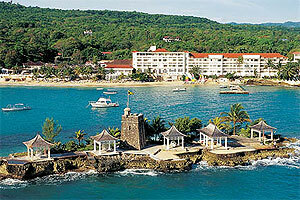 Full Exchange Privileges At Our 2 Other Montego Bay Resorts Means 9 More Gourmet Restaurants To Choose From. No Other Resort Of Of This Size Offers So Much Sandals Inn*S Romantic Ambiance Is Enhanced By A Host Of Intimate Spaces, Indoors And Outdoors That Are Ideal For Everything From Morning Coffee To Moonlit Cocktail. The Couples Secret (Jamaica) Is Actually Four All-inclusive Resorts: Couples Ocho Rios, Couples Sans Souci, Couples Swept Away And Couples Negril. This Vacation Hotelier Creates Spontaneity By Keeping The Specific Resort Destination A Secret, Even From The Couples Themselves, Until A Week Before Arrival. The Company Maintains Absolute Spontaneity In Destination Selection, Helping Couples To Getway From Stress By Foregoing Even The Responsibility Of Determining A Resort Preference.